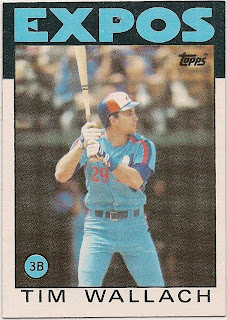 Card Review: 9.3 As a whole I like the '86 Topps design. It features a nice assortment of photography (somehow making pre-game catch look intersting), and has a simple clean design that's both new and full of past Topps elements. The Pete Rose subset to start the set was also my first exposure to many of the 1970's Topps designs. I particularly like the cards with the team names in red lettering at the top. However the blue "Expos" lettering with the contrasting blue uniforms just doesn't work for me. The Expos cards with players in the home white uniforms look much better. In addition to my complaints about the colors, I've just never been wild about the way this photo was cropped. 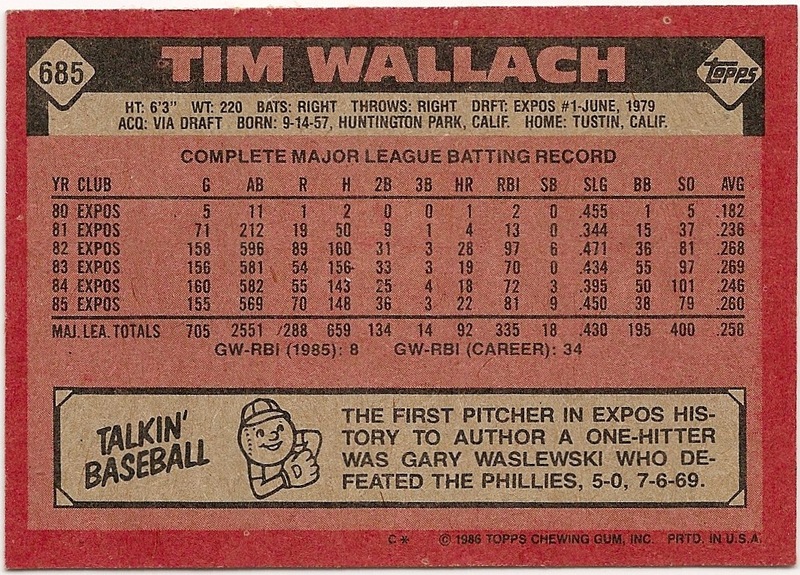 Wallach just looks too small on the card. My final complaint, is that the photo is too similar to the photo's used on the 1984 and '85 Topps Wallach cards. 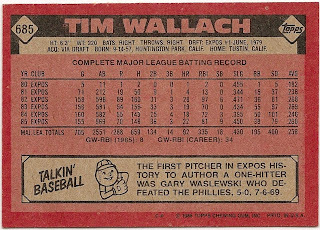 That said, despite all these complaints, this is still what I consider to be a classic Wallach card.